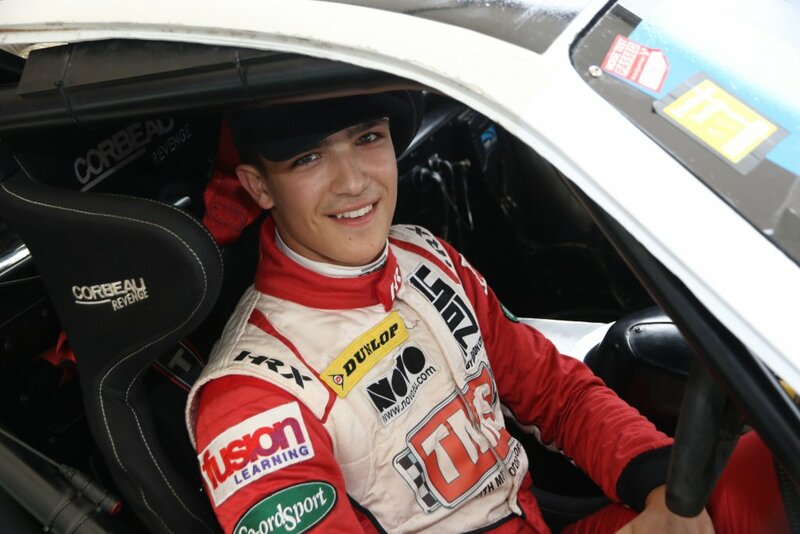 Following a nine-week break since his previous event, up-and-coming teenage racing driver Moh Ritson from Leeds returned to action last weekend, when he contested rounds 11 and 12 of the BARC Junior Saloon Car Championship at Snetterton Circuit. An impressive performance in both of Saturday’s (18th August) races rewarded him with a top-ten finish and the opportunity to gain further valuable experience as he battles for honours in the hotly contested saloon car series for 14 to 17 year olds. As well as taking time out after his exams to travel to the Far East and Australia with his family – where he met and took inspiration from front-running V8 Supercar star Scott McLaughlin – the summer sabbatical between race meetings also included a birthday for Moh. Although he enjoyed his time away, he was eager to get back behind the wheel and having returned home, less than 24-hours later made the journey to Snetterton to take part in Friday’s two pre-race Free Practice sessions. With this his first ever visit to the Norfolk track, Moh was eager to make the most of the testing and absorb as much information as he could from driver coach Sarah Moore and his team, Tockwith Motorsport. It didn’t take long for the 16-year old to reacquaint himself with his Citroen and the two-kilometre ‘200’ configuration of the circuit. Following a very productive two practice sessions, he reported he was ready and set for Saturday’s 15-minutes of qualifying and two, 15-minute-plus-one-lap races. Qualifying went well and, with all competitors driving identical Saxo VTRs, it was inevitable that the lap times would be close – and they were, with Moh securing P11, just 0.035 seconds outside the top ten and only 1.434 seconds from pole position. A good start in race one saw him catch two cars before the first corner, but erring on the side of caution, he sensibly slotted into the pack and maintained position. Ahead of him the competition was just as fierce. In fact, so much so, the Safety Car was deployed following a coming together of two other cars. Although it was only Moh’s second ever experience of this situation, he held his own at the restart and was delighted to finish tenth, one place ahead of his starting position. The second race saw Moh line-up ninth on the grid and, boosted by his performance in the first, was raring to go when the red lights went out. Once again, another well-executed start saw him catch the cars ahead of him as the pack sprinted towards the first corner. Moh continued to battle with those around him until mid-way through the race when he went for a gap to try and get past only to have it closed as he drew alongside, the inevitable contact forcing him into a spin. Moh quickly recovered and re-joined the race in 14th place. Un-phased by his brief excursion, he then focussed on the task ahead to catch the cars in front of him and a faultless performance throughout the remaining 10 laps saw him improve his position and cross the line in 13th place. “It’s great to be back racing again. I didn’t realise how much I would miss it during the break. I’m very happy with the outcome of this event and it’s been fantastic from a learning perspective. At this point in my motorsport career it’s important to get as much seat time as possible and absorb all the information I can from Sarah (Moore) and the team. In fact, I really enjoy that side of things. 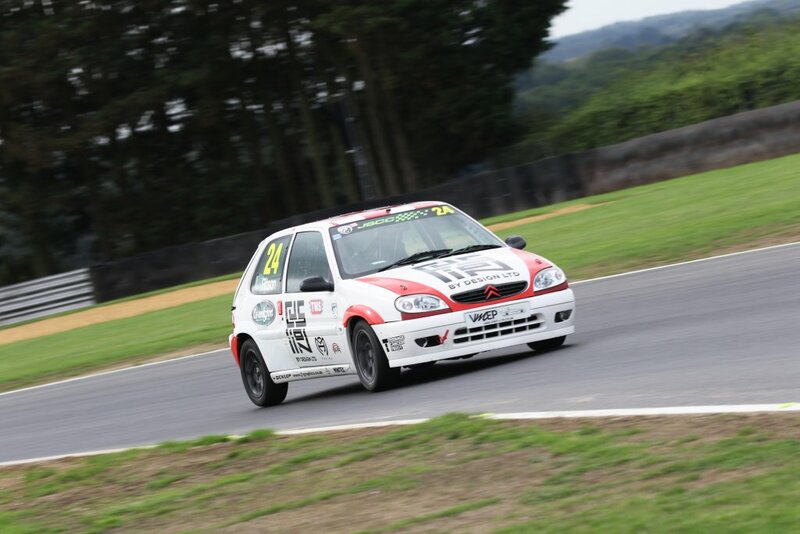 “Although it was my first time at Snetterton, I really like the track and was very pleased that it didn’t take long to get used to the car again and familiarise myself with the circuit. I’m now looking forward to the next two rounds of the championship in just a couple of weeks time. Moh’s next two races – rounds 13 and 14 of the 2018 BARC Junior Saloon Car Championship – take place at Anglesey Circuit on 1st & 2nd September. Moh is 16 years old, lives in Leeds and was raised in the county of West-Yorkshire. His name is derived from the Indian name Mohan and is a nod to his grandfather’s Indian roots. Having gained experience in Karting in during his childhood, Moh has entered Junior level motorsports this year before he moves to senior in 2019. He studies at Woodhouse Grove School that is renowned for its strengths in sport and for supporting the development of confident, well-rounded young adults. When he’s not racing or studying for his GCSE’s, Moh unwinds by tinkering with an old SAAB or playing drums, as he prepares to take Grade 6 later this year. He has won the school “Battle of the Bands” and has played at Leeds’ venue The Wardrobe, during Rock School UK performance nights.